Welcome to SalesPanda (SalesPanda). SalesPanda is a property of Bizight Solutions Private Limited (Bizight). Please carefully review these Terms & Conditions ("T&C"), as they contain important information regarding your legal rights, remedies, and obligations. The T&C apply if you access SalesPanda website made available on www.salespanda.com or have acquired the right to use the software either free or commercially. It applies if you directly or indirectly access our Software-As-A-Service (SAAS), data, information, products, services, or applications (collectively, "Services") made available by or from SalesPanda. By accessing the Website or Services, you represent and warrant that you have read and understood, and agree to be bound by these T&C and that you acknowledge the adequacy of consideration of this Agreement. Please review this document carefully as it is a legally binding document between you and SalesPanda. If you do not agree to these T&C, you are prohibited from accessing the Website and the Services. Please exit immediately. SalesPanda reserves the right to modify, alter and update the content of these T&C at any time. Changed T&C will be indicated by the "effective date" at the top of this agreement. If you do not agree to such changes, please exit the Website and Services immediately. Privacy Statement: By accessing the Website, you consent to the collection and use of certain information about you and the information you share on the site. SalesPanda encourages users of the Website to frequently check the SalesPanda policies on Privacy. By accessing the Website, you represent and warrant that you have read and understood, and agree to be bound by the SalesPanda Privacy Statement. IF YOU DO NOT UNDERSTAND OR DO NOT AGREE TO BE BOUND BY THE SALESPANDA PRIVACY STATEMENT, YOU MUST IMMEDIATELY LEAVE THE WEBSITE. Changes: SALESPANDA RESERVES THE RIGHT TO CHANGE THIS AGREEMENT AND/OR THE SALESPANDA PRIVACY STATEMENT AT ANY TIME. Notice of any such change will be given by the posting of a new version or a change notice on the Website. It is your responsibility to review this Agreement and the SalesPanda Privacy Statement periodically. If at any time you find any unacceptable, you must immediately leave the Website and refrain from using the Website and Services. Generally: SalesPanda offers packages for use of certain features of the application for different prices. Subscription fees and terms vary and additional conditions, restrictions and limitations may apply to each Package. To view various Package Details, please go to the "Pricing" section of the website. If your current plan is not satisfying your needs, you may email us at support@salespanda.com for more information. Method of Payment: Payments may be made by credit/debit card through a third party payment gateway. Your account will remain open and active until your membership is cancelled, suspended or terminated. You authorize SalesPanda to charge your credit card or debit card for your one-time or recurring fee payments as applicable based upon your Package details. SalesPanda is permitted to bill you as described in your Package Details, including any applicable tax and any other charges you may incur in connection with your use of the Website or Services. Additional charges may include individual point purchases and other requested data services. Your Financial Information: You are required to provide all information necessary to open and maintain your account. For security purposes, certain plans may require that you to enter valid financial transaction information regardless of any applicable payment options. You authorize SalesPanda to share information as is necessary to process your payments on the payment gateway. SalesPanda will use commercially reasonable business practices to secure your financial information; however, no credit card/debit card/bank login details are stored with SalesPanda. SalesPanda only stores payment success/failure information based on authorized payments made on the payment gateway. Cancellation: You may cancel your account at any time and for any reason. When you cancel your account, you will not receive any refund of any subscription. Where applicable, and unless otherwise set forth in your specific package details, your account will remain active until the end of your package validity term unless otherwise terminated by SalesPanda. Fees will not be prorated or refunded for partial usage. In case of upgrading to a higher package inside the validity period of the lower package, value equivalent to the unused term will be adjusted during the upgrade. Termination: SalesPanda may suspend or terminate your account at any time, for any reason and without prior notice. Suspected system misuse will result in your immediate termination. You will no longer have access to the Services. Your subscription fee will not be refunded or prorated for partial-month usage following termination. Termination of FREE account: We offer a free plan for users to try our product. SalesPanda reserves the right to terminate a user's Free plan due to inactivity or misuse at their end. SalesPanda also reserves the right to discontinue the FREE plan at any point of time due to its financial viability or management decision with prior notice while providing the users to move to premium plans if they want to. Subject to your compliance with the terms and conditions of this Agreement, and any other agreement between you and SalesPanda, SalesPanda grants you a non-exclusive, non-sublicensable, non-assignable, revocable, non-transferable license to access the Website, SAAS and Services. Except as expressly set forth herein, this Agreement grants you no rights in or to the intellectual property of SalesPanda or any other party. In the event that you breach any provision of this Agreement, your rights under this paragraph will immediately terminate. The period of license to use the SAAS and applicable limitations of content and contacts are based on the base package and add-on packages procured for a certain account. This section sets forth the SalesPanda Code of Conduct (the "Code"). All Members and Website Visitors must fully comply with this Code at all times. You certify, represent and warrant that you will not violate this Code. Information that violates any provision of this Agreement or any other agreement or policy set forth by SalesPanda. For sale, re-sale, sub-license, commercial use, or redistribution of any kind, without SalesPanda's express, prior consent. Uploading, posting, transmitting, sharing, storing or otherwise making available any content that SalesPanda deems to be harmful, threatening, unlawful, defamatory, infringing, abusive, inflammatory, harassing, vulgar, obscene, fraudulent, invasive of privacy or publicity rights, hateful, or racially, ethnically or otherwise objectionable. Suspected Misuse and Penalties SalesPanda may monitor the SAAS, Website and Services for misuse of the Code. SalesPanda shall be the sole and final arbiter of suspected Code violations, misuse and penalty. For suspected violations, and without limiting any of its other remedies, SalesPanda reserves the right to immediately and without notice:i.	Delete or modify content;ii. Suspend your account;iii. Terminate your account;iv. Identify you to third parties;v.	Take legal action. SalesPanda intends to cooperate fully with any law enforcement officials or agencies in the investigation of any violation of this Agreement or of any applicable laws. SalesPanda reserves the right to seek civil, criminal or injunctive relief, at its sole discretion and without obligation, to enforce this Code. SalesPanda's SAAS and Services may allow you to post content, such as messages, images, text, photos, graphics, audio, video or other material ("Your Creative Content") through marketing content which you want to display in your designated subdomain. With respect to Your Creative Content, while you retain any and all of your lawfully owned rights therein, you hereby grant SalesPanda a royalty-free, perpetual, irrevocable, worldwide transferable, non-exclusive and fully-sublicensable right and license to view, store, reproduce, modify, adapt, publish, translate, create derivative works from, distribute, perform and display Your Creative Content (in whole or part) and/or to incorporate it in other works in any form, media, or technology now known or later developed, and to exercise the same rights with respect to such works. No compensation will be paid to you or to any other person or entity with respect to Your Creative Content. SalesPanda may remove Your Creative Content at any time in its sole discretion. You are solely responsible at your own cost and expense to create backup copies of Your Creative Content. You agree that SalesPanda is not under any obligation of confidentiality, express or implied, with respect to Your Creative Content. You represent and warrant that you own or otherwise control all necessary rights to Your Creative Content, that it does not violate or infringe upon the intellectual property rights of a third party, that it is accurate, that it does not contain libelous, defamatory or otherwise unlawful material, that it does not violate anyone's rights to publicity or privacy, that it will not cause injury to any person or entity, that it does not otherwise violate these TOU, and that you will indemnify SalesPanda and its service providers for all claims resulting from Your Creative Content. The Website or your SalesPanda hosted designated subdomain and all content and materials located thereon, including without limitation any SalesPanda names and logos ("Brand Marks"), the Services, Leads Database, designs, text, graphics and other files, and the selection, arrangement and organization thereof, are the intellectual property of SalesPanda or its licensors. Except as explicitly provided, neither the Website nor this Agreement grant you any right, title or interest in or to any such content or materials. The SalesPanda Brand Marks are trademarks or registered trademarks of SalesPanda. Other trademarks, service marks, graphics, logos and domain names appearing on the Website may be the trademarks of third parties. The Website is Copyright © 2015, Bizight Solutions Private Limited, ALL RIGHTS RESERVED. As SalesPanda asks others to respect its intellectual property rights, SalesPanda respects the intellectual property rights of others. You agree that you shall not remove, obscure, or alter any proprietary rights notices (including copyright and trade mark notices) which may be affixed to or contained within the Services. We care about the security of our users. While we work to protect the security of your content and account and host our application in highly secure datacenters, SalesPanda cannot guarantee that unauthorized third parties will not be able to defeat our security measures. Please notify us immediately of any compromise or unauthorized use of your account. NO WARRANTIES: Although SalesPanda takes reasonable measures to keep the website and services error-free and safe, you access them at your own risk. SalesPanda, on behalf of itself and its licensors and suppliers, hereby disclaims all warranties, express or implied, relating to the SAAS, website and the services, including without limitation any implied warranties of merchantability, fitness for a particular purpose or non-infringement. The SAAS, website and services are provided "as is" and "as available." Neither SalesPanda nor its licensors or suppliers warrant that the SAAS, website or the services will meet your requirements or that the operation of the website or the services will be uninterrupted, error-free, safe or secure. YOUR RESPONSIBILITY FOR DAMAGE: You agree that your use of the website or services is at your sole risk. You will not hold SalesPanda or its licensors or suppliers, as applicable, responsible for any damage or loss that results from your use of the website or services, including without limitation any damage to any of your computers or data. The website or services may contain bugs, errors, problems or other limitations. YOUR RESPONSIBILITY FOR YOUR ACTIONS: You agree and understand that you may be held legally responsible for damages suffered by other website visitors or third parties as the result of your remarks, information, feedback or other content posted or made available on the website or through the services that is deemed defamatory or otherwise legally actionable. LIMITATION OF LIABILITY: You agree that neither SalesPanda, its directors, officers, employees, and agents, nor its licensors or suppliers, have any liability whatsoever in connection with your access of the SAAS, website or the services. 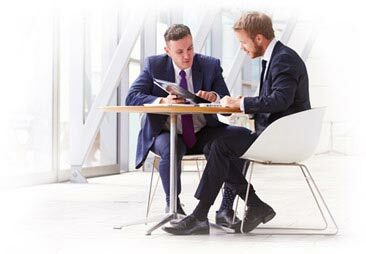 SalesPanda is not responsible for the actions of third-parties (including other visitors or members), and you release SalesPanda, its directors, officers, employees and agents from any claims and damages, known or unknown, arising out of or in any way connected with any claim you have against any such third-parties. The liability of SalesPanda, its directors, officers, employees, and agents, and its licensors and suppliers, is limited to the maximum extent permitted by law, in no event shall SalesPanda, its directors, officers, employees, and agents, or its licensors or suppliers be liable for any special, incidental, punitive or consequential damages (including without limitation lost profits, lost data or confidential or other information, loss of privacy, failure to meet any duty, including without limitation of good faith or of reasonable care, negligence, or otherwise, regardless of the foresee ability of those damages or of any advice or notice given to SalesPanda, its directors, officers, employees, and agents, or its licensors and suppliers) arising out of or relating to your use of the SAAS, website or services. This limitation shall apply regardless of whether the damages arise out of breach of contract, tort, or any other legal theory or form of action. Additionally, the maximum liability of SalesPanda, its directors, officers, employees, and agents, and its licensors and suppliers to you under all circumstances will not exceed the greater of INR 5000 or the amount you have paid us in the last 12 months. APPLICATION: The above disclaimers, waivers and limitations do not in any way limit any other disclaimer of warranties or any other limitations of liability between you and SalesPanda or between you and any of SalesPanda's directors, officers, employees, agents, licensors or suppliers. Some jurisdictions may not allow the exclusion of certain implied warranties or the limitation of certain damages, so some of the above disclaimers, waivers and limitations of liability may not apply to you. Unless limited or modified by applicable law, the foregoing disclaimers, waivers and limitations shall apply to the maximum extent permitted, even if any remedy fails its essential purpose. No advice or information, whether oral or written, obtained by you through the website, services, or otherwise shall alter any of the disclaimers or limitations stated in this section. You agree to indemnify and hold SalesPanda, its directors, officers, employees and agents, and its suppliers, licensors, and service providers, harmless from and against any loss, liability, claim, demand, damages, costs and expenses, including reasonable attorneys' fees (collectively, "Claims"), arising out of or in connection with: (1) your use of the SAAS, Website or Services; (2) any violation of this Agreement (including, without limitation, the Code); (3) your violation of any law or the rights of any third party. SalesPanda will have the right, but not the obligation, to participate through counsel of its choice in any defense by you of any Claims as to which you are required to defend, indemnify, or hard harmless SalesPanda. You may not settle any Claims without the prior written consent of the concerned SalesPanda person or persons. Method You may terminate this Agreement at any time, for any or no reason at all, by providing SalesPanda written notice of your intent to do so (Bizight Solutions Pvt. Ltd., Attn: Legal Department, C 48, FF, DDA Sheds, Okhla Phase 1, New Delhi - 110020). Without altering any other provision of this Agreement, SalesPanda may terminate this Agreement without notice or liability. SalesPanda may also deny, suspend, cancel, or terminate your use of the SAAS, Website or Services, including without limitation, for breach or suspected breach of this Agreement or of any applicable law or regulation. Effect of Termination; Survival If this Agreement terminates, you will no longer be authorized to access the Website or Services. SalesPanda controls and operates this Website from its headquarters in New Delhi, India and makes no representation that the materials on the website are appropriate or available for use in other locations. If you use this SAS/Website from other locations, you are responsible for compliance with applicable local laws including but not limited to the export and import regulations of other countries. Unless otherwise explicitly stated, all marketing or promotional materials found on this Website are solely directed to individuals, companies or other entities located in India and comply with the laws prevailing for the time being in force in India. Disputes if any shall be subject to the exclusive jurisdiction of Courts at New Delhi, India. SalesPanda's failure to exercise or enforce any right or provision of this Agreement shall not constitute a waiver of such right or provision. SalesPanda may assign its rights and duties under this Agreement to any party at any time without notice to you. Your rights and duties under this Agreement are not assignable by you without written consent of SalesPanda. This Agreement, along with your Plan Details, and any other signed writing between you and SalesPanda regarding the Services, constitutes the entire understanding between you and SalesPanda and supersedes any prior or contemporaneous communications or provisions on the subject matter. This Agreement cannot be modified, unless in a writing labeled "Modification to TOU", executed by both you and an officer of SalesPanda.